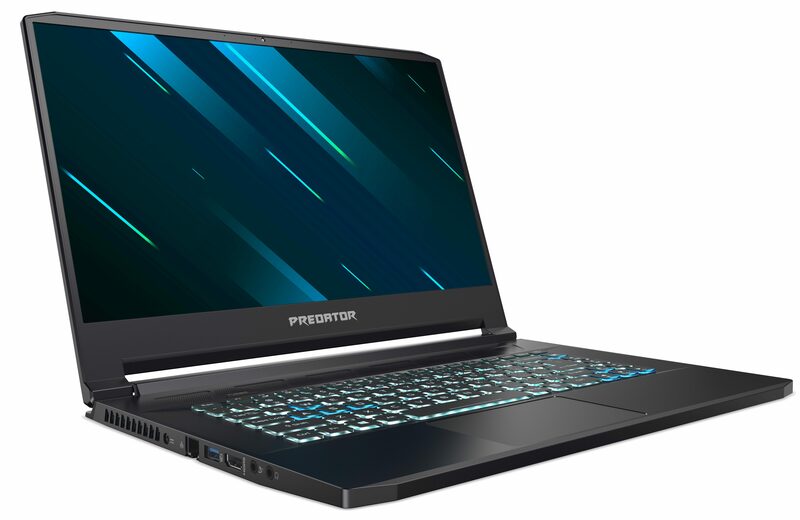 Acer today announced two new gaming laptops at CES, the 17-inch $4,000 Predator Triton 900 with a convertible 4K display and the somewhat more affordable all-metal 15-inch $1,800 Triton 500. What sets these laptops apart is, among a few other interesting features and some interesting design choices, support for Nvidia’s new(ish) RTX 2080 GPUs, the most powerful graphics processors on the market today. The Triton 900 features the RTX 2080 by default, while you’ll have to shell out an extra $700 to get it on the Triton 500. Otherwise, the specs are very much what you’d expect from a modern gaming laptop, with 8th generation Intel i7 chips, 16GB of base memory (with the option of going up to 32GB) and up to a terabyte of NVMe-based storage. Unsurprisingly, the Triton 500 is the more “sensible” option here, with a more palatable starting price, slim design (it’s 0.7 inches thick and weighs in at 4.6 lbs) and the promise of eight hours of battery life. You only get a full HD display, though, with even the base model comes with an RTX 2060 card, which is no slouch either and should easily be able to let you play and modern game at its maximum graphics settings in HD.